What I’ve noticed that the alert was logged only for 3 servers and the alerts were repeating every 5 hours for every particular server. 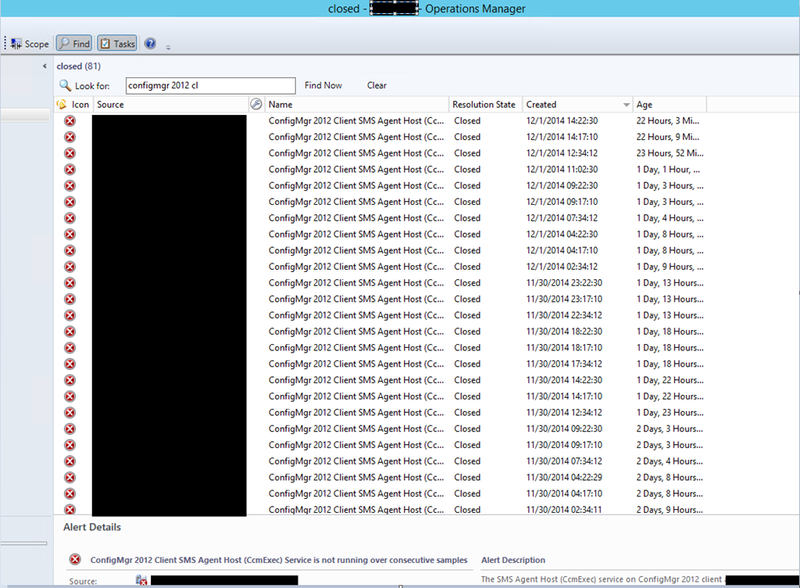 Logging into the noisy alerts and looking in the SCCM agent logs I could see agent installing was causing this. So the obvious issue is that the SCCM client was re-installing itself every 5 hours roughly for these servers. After these steps seems the issue is fixed at least for now. All credits to the guy (DragonSpeed) posting the thread. Thank’s for sharing it. Thisone has been bothering us for Quite a while.